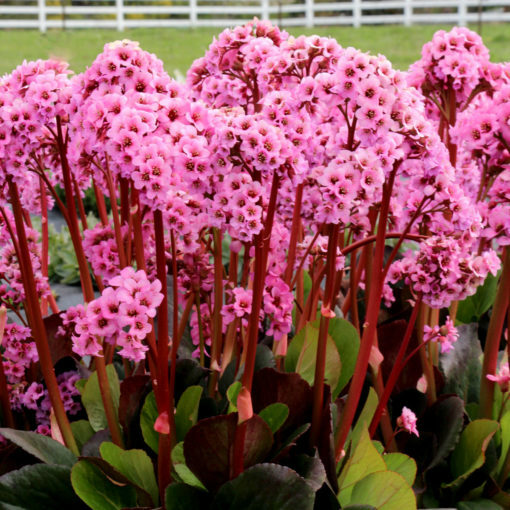 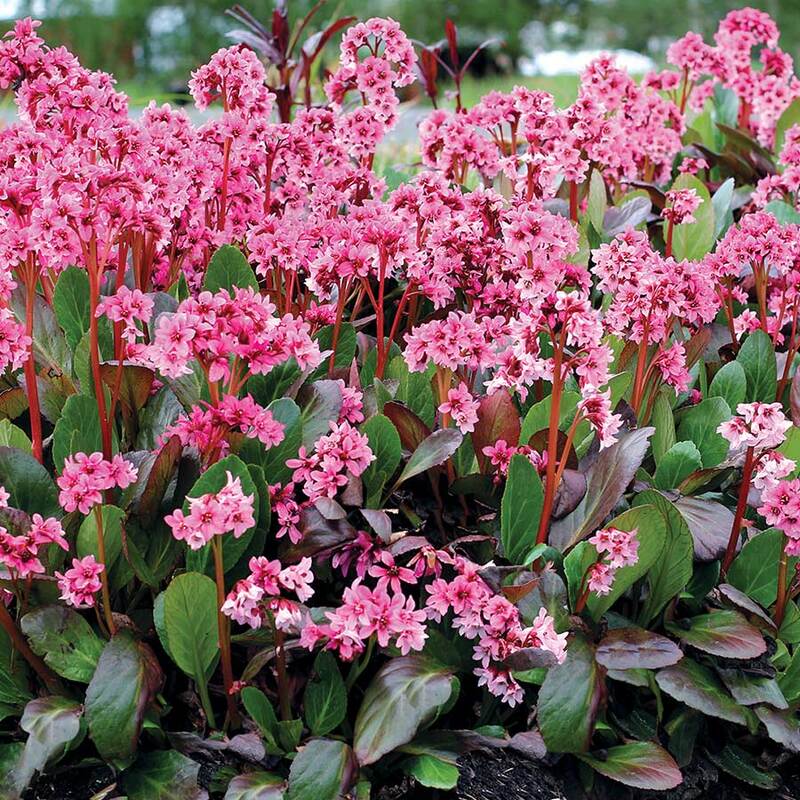 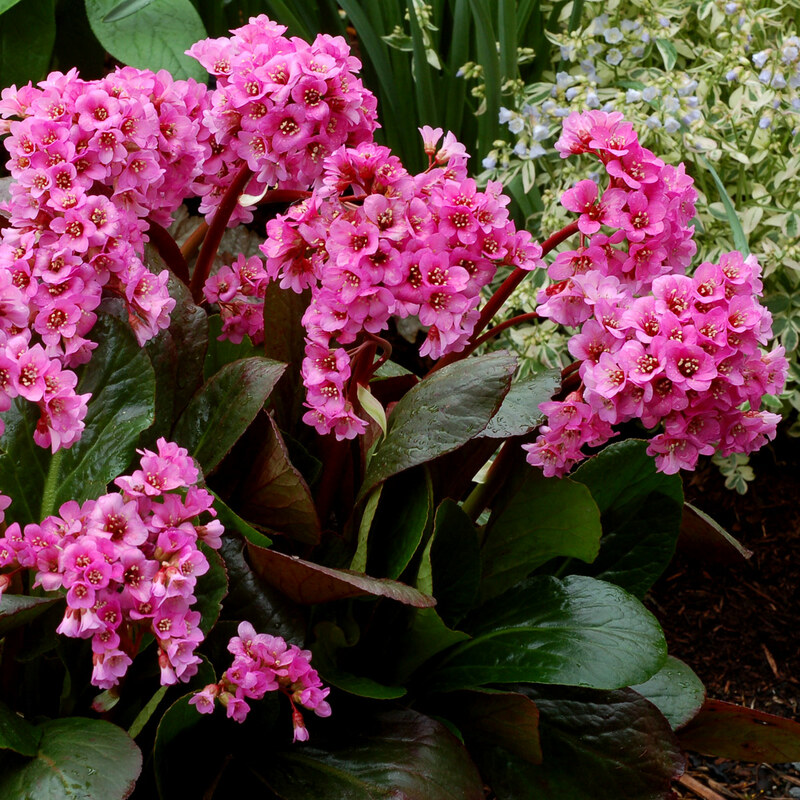 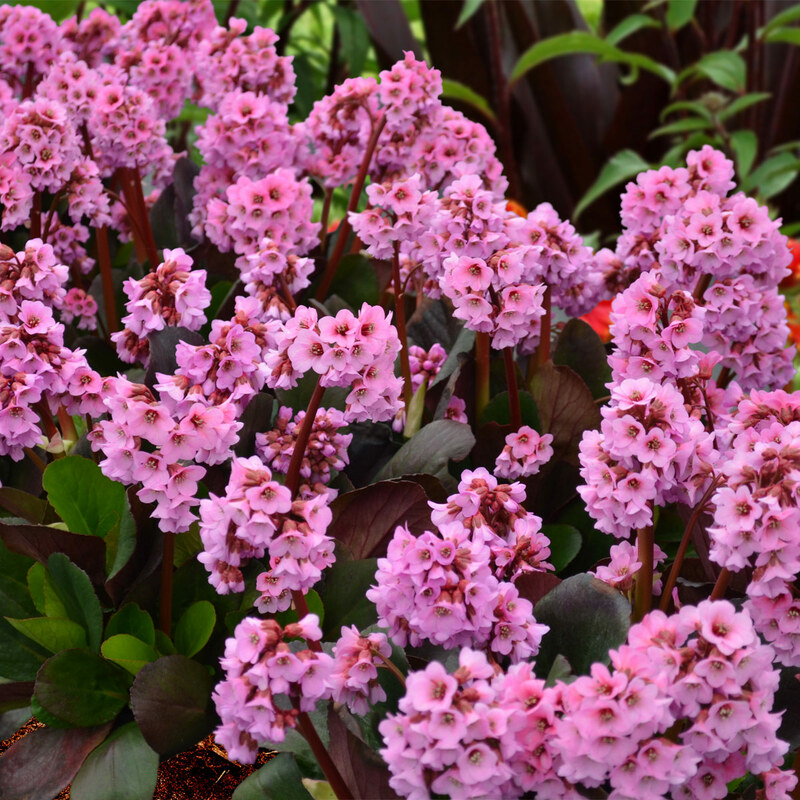 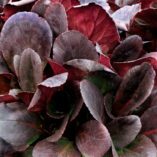 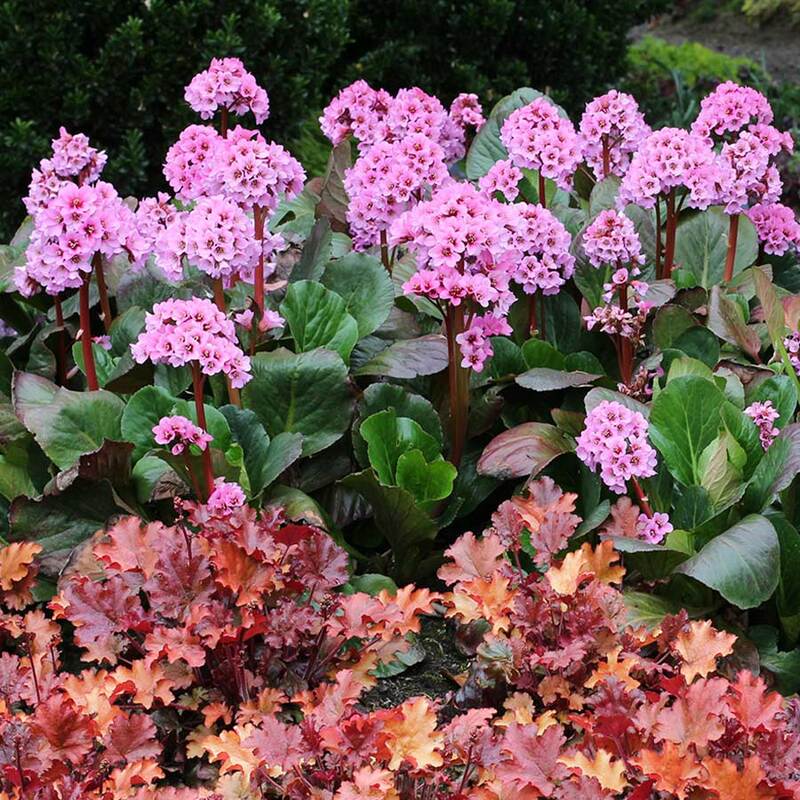 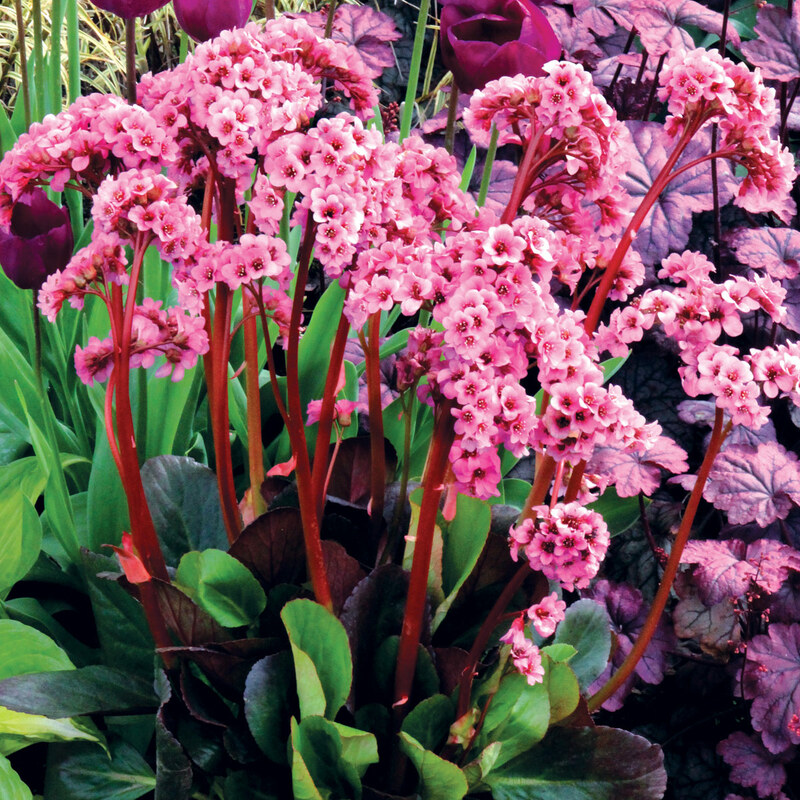 Bergenia ‘Spring Fling’ | TERRA NOVA® Nurseries, Inc. 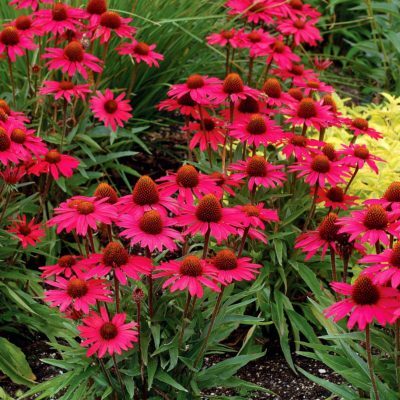 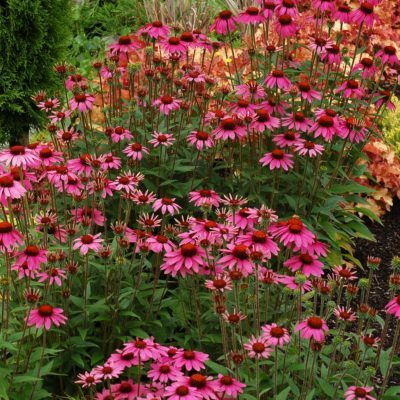 Witness some of the most exciting work done with the easiest to grow perennial ever! 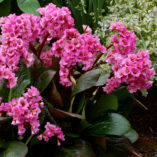 'Spring Fling' forms a large, fairly tight and upright plant that blooms so heavily, it could be mistaken as an Azalea from a distance. 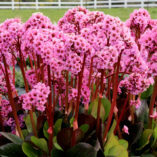 It has branched flowering stems, which equals more flowers. 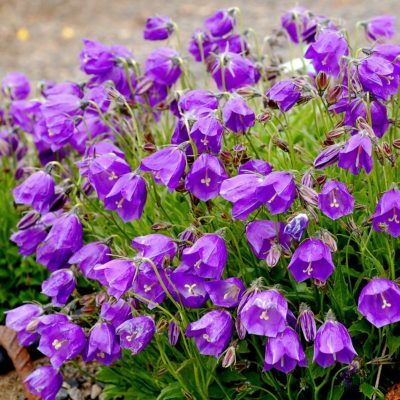 'Spring Fling's' foliage turns satiny purple-black in the fall and winter and is a gorgeous foil for the shocking, magenta-pink flowers. Massive flower display from a compact plant. Very clean and showy winter chocolate brown leaves. 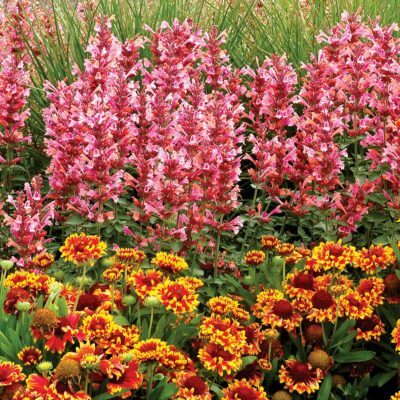 In mass plantings, container, bank, front of border, mixed beds. Easy to grow. 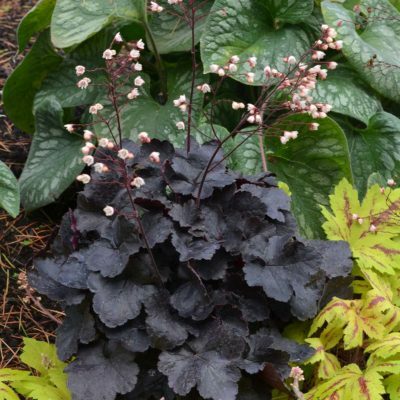 100% winter survival at the University of Minnesota (2016).